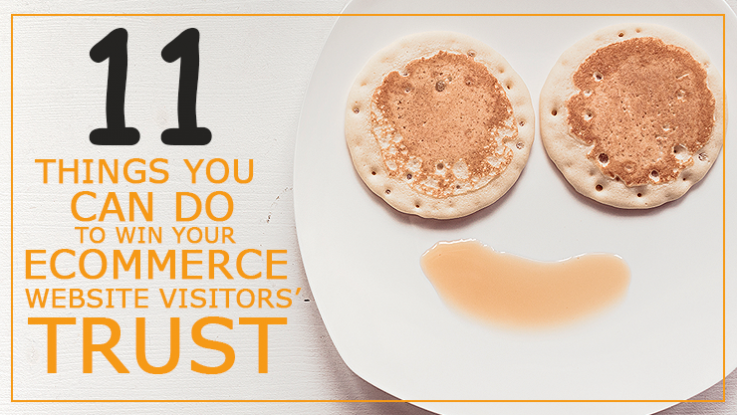 If you don’t have customer trust, you might as well close your eCommerce store. Remember, your business is online; a dissatisfied customer won’t picket outside your fence or call the cops. They’ll vent about you online and that’ll be the end of you. Get them to trust you, now. If a single customer is dissatisfied, you might console yourself by thinking it’s just one, you’ve got others. NO. That one customer matters. Because your business is online and even one customer’s complaint can go viral and ruin your business. So every customer is important, every transaction is sacrosanct. You cannot afford to be distant or rude to your customers or even seem to appear that way. Test your online customer care SLAs. How long does it take for an agent to respond to online chat from customers? How quickly are your people able to respond to customer’s questions? Does your Contact Us page have plenty of contact options for customers to get in touch with you? Have you provided your physical address and geographical coordinates? Yes, sometimes customers can be irrational and irascible. You’ll have to learn to handle them, but with pleasantness. Train your online customers care people to be very polite and be respectful. “Smile” online when customer selects a product, or completes a purchase. Use happy colors; offer a tiny freebie, or a shipping discount to make your customer happy. Remember, if you don’t have it, then they’ll go elsewhere. Research the interests of your customer base. Give your customers what they want before your competition beats you to it. You’ll achieve two birds with one stone – for one, your customer is going to love you for your insight into their needs. For another, your competition will be left far behind. Would you buy anything from a salesperson that looks like the cat dragged him in? It’s all in the looks. A neat professional design and excellent color coordination is to your website what good clothes are to the salesperson. Use the best quality graphics, keep your site fuss-free; make it easy to find products and to transact and most of all make your site a pleasure to use. Incorporate the highest level of transactional security and assure your customers that their data is safe while shopping. Publish reviews of your product by well-known bloggers. Maintain your own blog as well, and share your industry expertise freely. Interact with your customers online and via social media. You want your customers to experience the same cozy feeling of belonging that they get in their neighborhood supermarket. There, they know everyone. They chat, and share day to day events. Include a detailed profile of your management team, with lots of pictures, so that customers see you as people. Make it possible for people to chat with your team if need be. Present a detailed About Us page with a personal message from your top man. Use Https instead of Http, and apply additional security to transactional pages via the Padlocking feature. It doesn’t matter how much you promote yourself. What matters is what others say about you, your business, your product or service. So get some genuine customer testimonials and put them up on your eCommerce website. Text testimonials are great but think about video testimonials too. Customers love watching other customers talk about their experiences on video. Do upload news articles about your company in your News section and prominently display the logos of the media which has favorably reviewed your site. What’s your customer’s biggest risk? They’re afraid that once they receive your product, they won’t like it, and then they’ll be stuck with it. Mitigate this fear by providing a generous Returns Policy. Also allow for free shipping for orders beyond a certain size, or those that come from close by areas. In fact, you could allow free returns for customers residing within a 100 kilometers. This goes one step further to assure customers that you’re safe to shop with. Sign up with a security scan vendor such as McAfee Security Scan. Also sign up with BBBOnLine, and display its trust factor seal on all pages. Display a branded SSL certificate logo as well, such as BizRate and VeriSign. Make sure the logo appears prominently on all the pages, with a mouseover description of what they mean.